Spring is finally here! As you head to the garden center to pick out plants for a new season of container gardening, consider this: Annuals aren’t the only game in town. Shrubs like hydrangeas can be an easy-plant, easy-care option that are also a bargain long-term. Unlike annuals, they can be overwintered in their containers, then brought out for another season of beauty on the porch or patio. 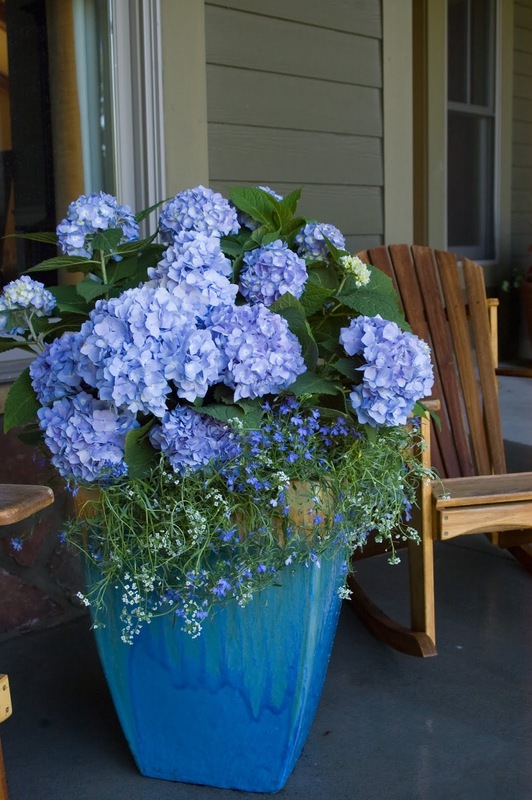 When buying a hydrangea to be planted in a container, look for a Hydrangea macrophylla variety. You can enjoy these hydrangeas—commonly known as mopheads because of their large, showy blooms—year after year, unlike florist hydrangeas that bloom for several weeks and are then done for the season—and won’t overwinter. To get the most flowers through the season, consider a reblooming hydrangea like one of the varieties from Endless Summer. They have flowers early in the season from buds on last year’s stems, and they continue to bloom throughout the season as additional flowers from on this year’s new growth. Endless Summer hydrangeas are available in four varieties. The original Endless Summer offers blue or pink blooms. BlushingBride flowers are white, maturing to a pink blush hue. 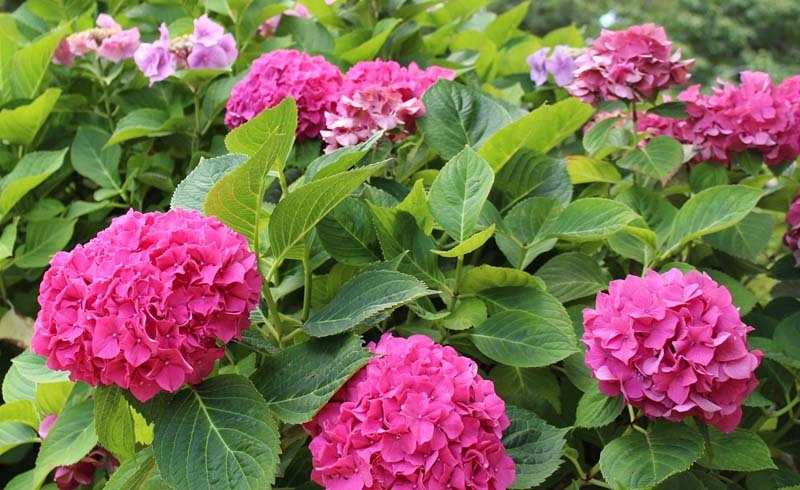 Twist-n-Shout, the first reblooming lacecap hydrangea, produces pink or periwinkle blooms on red stems. And the newest, BloomStuck, offers vivid purple or rose-pink flower heads on red stems. Next spring, look for Summer Crush, which blooms with raspberry-red flowers. 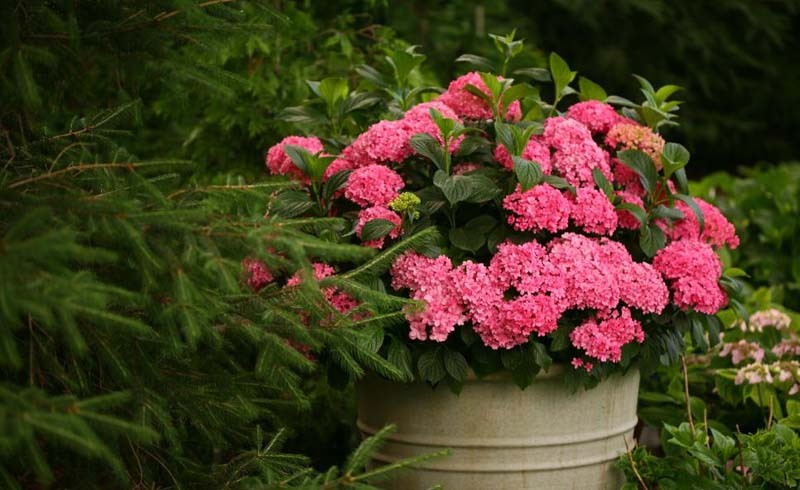 Once you have your hydrangea in the cart, make sure to get a pot that’s the right proportion for the plant. 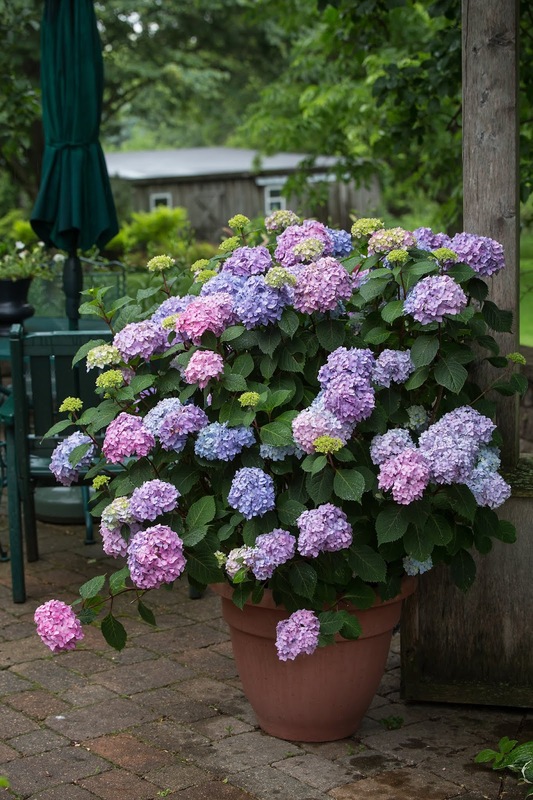 Hamill recommends a 15-inch-diameter pot for Endless Summer hydrangeas. She also suggests using bagged potting mix rather than garden soil, which can be too heavy for optimal plant performance. Position the plant on your patio, deck, or porch where it will get partial sun, rather than full sun or full shade. “Morning sun and afternoon shade is great,” Hamill says. If you’re going to be traveling a few days and won’t be able to water the plants, move the containers to full shade for that time. If you plant this spring, you’ll be able to enjoy the container plants through the fall. Then, Hamill says, move the container to an unheated garage or other space where the soil won’t freeze solid. Keep some moisture in the roots through the winter. 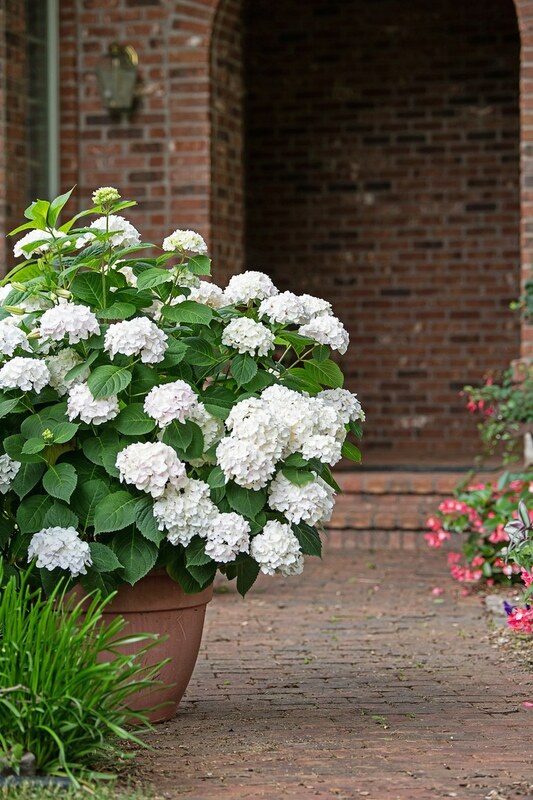 Then bring the potted hydrangea back out next spring to enjoy for another season. You also can plant the hydrangea in your garden if you don’t want to overwinter the plant in a container. Just plan to get it in the ground in September so it has time to get its roots established before cold weather sets in, Hamill says.